A playalistic riser with bars for days, New Jersey’s Kazzie is a versatile and charming emcee. Showing off his songwriting skills above a candy-coated instrumental, Kazzie pledges devotion to his significant other on “Going Nowhere,” his latest video. Romantically recounting the best moments of his relationship, Kazzie shows his sensitive side, revealing a capable singing voice on the infectious hook. In the video, Kazzie holes up in a mansion with rising Chicago rapper Dreezy, as they both court their significant others and show off a luxury car. Premiered by Music on The Dot, “Going Nowhere” is the latest single from Kazzie & The Wavy Bunch, following the Molly Brazy-featuring “With It,” premiered by HotNewHipHop, and “Think I’m In Love,” a tender street love song featuring Rico Nasty premiered by Lyrical Lemonade. Rising from the same vibrant New Jersey rap scene that produced Redman and Fetty Wap, Kazzie has the talent and work ethic to follow in their footsteps. Having released tracks with prominent features from Fetty Wap, Waka Flocka, Fabolous, Gucci Mane, Rick Ross, and Yo Gotti, Kazzie is a respected artist in his community and online who built a strong following with his frequent freestyle videos, taking on beats made famous by Migos, Nicki Minaj, Blocboy JB, Gunna, and many more and making them his own. Kazzie recently bundled his Instagram freestyles into 23 & 1, a new project available via MyMixtapez. 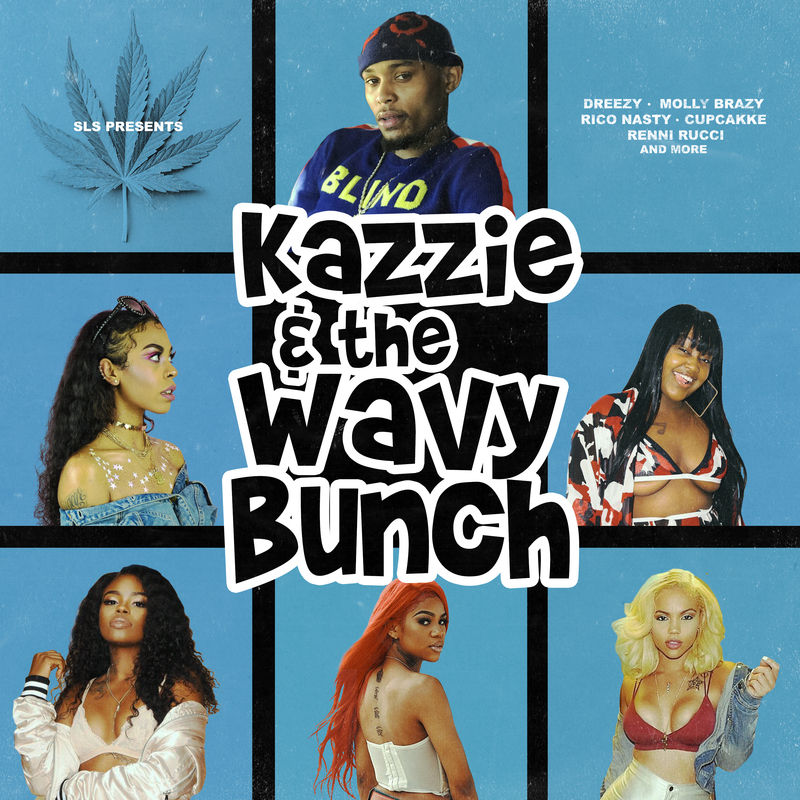 Releasing later this summer, Kazzie & The Wavy Bunch finds Kazzie demonstrating his electric chemistry with a cadre of rising female emcees, including Cupcakke, Rico Nasty, Molly Brazy, and Renni Rucci.